This climactic chapter emphasizes the obligation to be holy in our dealings with our fellow human beings. The prime emphasis (of the holiness described in Leviticus 19) is ethical. And the moral laws of this chapter are not mere injunctions of conformity. They call for just, humane, and sensitive treatment of others. The aged, the handicapped, and the poor are to receive consideration and courtesy. The laborer is to be promptly paid. The stranger is to be accorded the same love we give our fellow citizens. The law is concerned not only with overt behavior but also with motive; vengefulness and the bearing of grudges are condemned. Among ethical duties, that of sexual decency is singled out for particular emphasis. The Torah demands the control–not the suppression of–the sexual instinct. Life is sacred. The physical process by which life is generated is to be treated responsibly. The ethical injunctions of Chapter 19 are interspersed with ritual commandments. Some of these are directed against pagan and superstitious practices deemed incompatible with biblical religion. The intent of others is not so plain. To the biblical author, these ceremonial rulings are divine ordinances with the same authority as the ethical commandments. Traditional Judaism regarded them as “royal decrees,” to be observed whether or not we comprehend them. The Jewish modernist cannot agree with this. But he can recognize that worship and ceremony, undertaken thoughtfully and reverently, can elevate personal and family life. Though he may reject older views as to the origin and authority of ritual, he may still benefit from the practice of ritual in holy living. The ethical factor is primary, but it is not the only one. In combining moral and ceremonial commandments, the authors of the Holiness Code [as this section of the Torah is known by scholars] displayed sound understanding. Can Anyone be Holy as God is Holy? Such are the components of the way of life called kadosh (holy). Our chapter begins with the startling declaration that by these means we can and should try to be holy like God. The same Torah that stresses the distance between His sublime perfection and our earthy limitations urges us to strive to reduce that distance. The task is endless, but it is infinitely rewarding. Rabbi Tarfon said: “Do not avoid an undertaking that has no limit or a task that cannot be completed. It is like the case of one who was hired to take water from the sea and pour it out on the land. But, as the sea was not emptied out or the land filled with water, he became downhearted. Then someone said to him, ‘Foolish fellow! Why should you be downhearted as long as you receive a dinar of gold every day as your wage? '” (Avot deRabbi Natan, 27). The pursuit of the unattainable can be a means of fulfillment. The Law of Holiness is not addressed to selected individuals. It is addressed to the entire community of Israel. Its objective is not to produce a few saints, withdrawn from the world in contemplative or ascetic practices. Rather, does the Torah aim to create a holy people which displays its consecration to God’s service in the normal day‑to‑day relations of farming, commerce, family living, and community affairs… (see Exodus 19:6). The statement that one who offers his offspring to Molech profanes the name of God [appears in Leviticus 18:21]. The same expression appears in Chapter 19, verse 12, in connection with swearing falsely. In these contexts, the phrase seems to require no explanation. But its fuller meaning emerges elsewhere. To profane the name of God means to impair His reputation in the non‑Israelite world. Thus, Ezekiel (who, we have seen, shows affinity to the Holiness Code) declares that, when the people of Judah brought the punishment of exile upon themselves, they profaned the name of God. For the Gentiles regarded the defeat of Judah as a defeat for Judah’s God as well. They supposed the people were in exile because their God was not strong enough to protect them. Therefore, to retrieve His reputation, God would purify and restore Israel. When they were back on their own soil, strong and prosperous, God’s name would be “sanctified in the sight of all the peoples”–that is, the nations would recognize His power and understand that the exile was not evidence of His impotence, but of His unswerving justice (Ezekiel 36:16 and following). This concept was transformed in Rabbinic Judaism from a questionable theological proposition into a powerful moral challenge. The prestige of Israel’s God among the Gentiles–the Rabbis taught–is not God’s worry, it is humankind’s responsibility. Jews must so live and act as to win for their God the respect of all mankind. Any behavior that brings public disgrace on Jews and Judaism is hillul haShem, profanation of the divine Name; any action that enhances the dignity and honor of Judaism is kiddush haShem, sanctification of the Name. Robbing a Gentile is doubly sinful, since it adds to the sin of robbery the further sin of hillul haShem (Tosefta Baba Kama 10:15). A Jew should accept martyrdom rather than publicly violate a commandment and thus profane the name of God. Kiddush haShem has no connection with what we now call “public relations.” It does not mean currying favor with the Gentiles. It requires us to deserve the approbation of others, whether we actually obtain it or not. The highest act of kiddush haShem is to die for one’s faith. The culmination of this climactic chapter is verse 18: “Love your neighbor as yourself.” It is one of several versions of what in modern times has been called “the golden rule.” (We do not know when or by whom the phrase was coined.) It appears in various forms, positive and negative; but all of them demand for others the same kind of treatment we want for ourselves. Our passage is apparently the oldest written version of the principle. When Hillel, at the beginning of the Christian era, was asked to sum up the entire Torah briefly, he replied: “What is hateful to you, do not do to your fellow.” (This negative form of the golden rule was apparently proverbial in Hillel’s time for it appears in practically the same words in the apocryphal book of Tobit (4:15).) Jesus of Nazareth, Hillel’s younger contemporary, declared that the commandment of Leviticus 19:18 is second in importance only to the command to love God (Mark 12:28-30.). 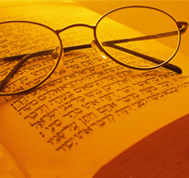 In the following century, Rabbi Akiba declared it to be “the great principle of the Torah” (Sifra). …Some Christian apologetes have argued that the negative form of the golden rule is spiritually inferior to the positive form ascribed to Jesus: “All that you would wish that men should do unto you, do ye also unto them” (Matthew 7:12). In their zeal, they forgot that the positive form occurs first in the Torah. But, actually, there is virtually no difference in meaning between the two versions. The golden rule, it has been remarked, is an instrument of criticism. It enables us to judge a proposed course of action, but it does not provide us the means of proposing a course of action; that always requires an effort of creative imagination. Regarded as a standard of judgment, the golden rule is equally effective in negative or positive form. Some Christians have also tried to show that the saying of Jesus is more truly universal and inclusive than that of Leviticus. They argue that “neighbor” in Leviticus (19:18) means “fellow Israelite” which is true enough; but they apparently overlook the commandment of verse 34 which requires us to show the same love to a foreigner resident in the land. There is no evidence that Jesus had a broader outlook (see Matthew 15:26). Such theoretical distinctions would in any case not be important. Our opportunity to practice the golden rule is chiefly in our relations to those who are physically near to us, our literal neighbors. In ancient times, most people had little awareness of events beyond their immediate vicinity. They had no share in major political and economic decisions. They rarely knew even of major occurrences until the results came upon them in the form of invasion, deportation, new tax demands, and the like. Only in recent centuries, especially in our own, has the average person had the knowledge, the opportunity, and the obligation to apply the golden rule on a global scale. Today, indeed, we must consider what duties we owe to the Vietnamese, the Biafrans, the Bengalis; but that is something new. And it does not make the question of our relationships with those nearer home any less compelling.